The all-wheel drive Jaguar XF 3.0 Sport is a standout in its class with luxurious interior finishes, sporty exterior details, exhilarating performance, and world class technology features. Jaguar Colorado Springs is excited to currently have this gently-used 2015 Jaguar XF 3.0 Sport all-wheel drive sports sedan in our inventory! This sleek Jaguar has low miles and features the whole family will love. 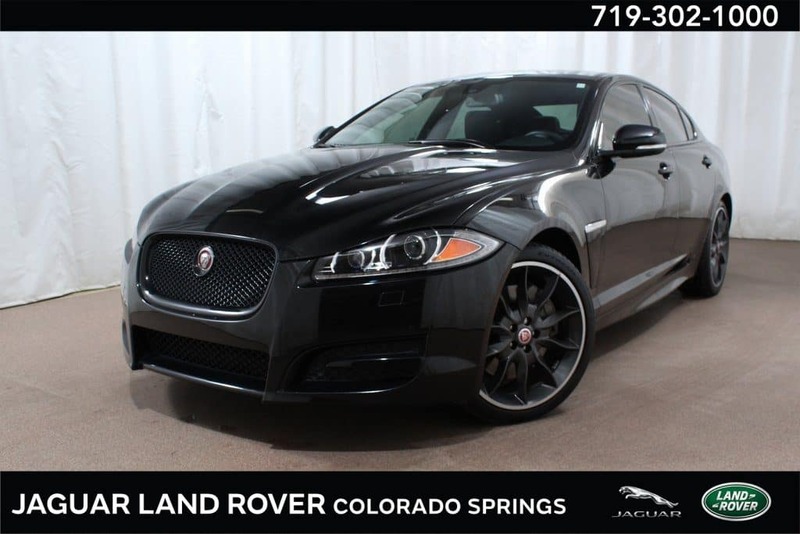 Priced at the low Jaguar Colorado Springs price of only $26,500, this beautiful XF 3.0 Sport is perfect for any budget! There is no mistake that this amazing Ultimate Black Metallic Jaguar is designed for driving enthusiasts. The 340-HP 3.0L supercharged V-6 engine offers incredible acceleration, propelling your from 0 to 60 in a mere 6.1 seconds. The 8-speed automatic transmission with paddle shifters offers a smooth and efficient transition between each gear. Black exterior trim accents give this sleek XF Sport a sporty look that is most definitely going to turn heads. Beautiful 20-inch Draco-Style dark gray V-spoke alloy wheels just finish off the elegant style of this stunning sedan. Sitting in the luxurious cabin, you will appreciate the use of premium materials and technology that only Jaguar could provide. Warm Charcoal 3-stage heated/ventilated leather front bucket sport seats are extremely comfortable, while holding you in place when racing around curves. The 12-speaker 380W Meridian premium audio system immerses the elegant cabin in amazing sound. Enjoy a whole suite of luxurious amenities including a power moonroof, convenient navigation system, driver memory seat settings, heated steering wheel, remote keyless entry, and much more! This amazing Jaguar will allow you to fully enjoy your drive, whether stuck in traffic or cruising down the highway. Safety is always a top priority when our talented Jaguar designers create a new vehicle model. Our 2015 Jaguar XF 3.0 Sport is loaded with safety features that will protect your precious cargo. Drive with confidence with best-in-class driver safety aids including Brake Assist, rear parking camera, Blind Spot Sensor, high intensity Bi-xenon headlights, and convenient rain-sensing wipers. These useful safety features demonstrate the amazing commitment that Jaguar has to keeping your family safe! This exciting pre-owned 2015 Jaguar XF 3.0 Sport is still under Jaguar’s manufacturer’s warranty. Stop in to Jaguar Colorado Springs to experience a test drive today!